Today we're talking about the Magi, also known as the "three kings" from the "orient," according to the well-known Christmas carol. Although most nativity scenes show the Magi crowded into the stable of Jesus' birth -- along with the shepherds, animals, an angel, Mary, Joseph and the baby -- the Magi were almost certainly later visitors, coming perhaps as long as years after Jesus' birth. By then, Joseph had no doubt found better lodging for his family, which is probably why Matthew says the wise men entered "the house" to find Jesus. But whatever the time and place, these Gentile visitors from the East "knelt down and paid him homage." In older vocabulary, they "adored" him. They finished what they came to do. But Leonardo da Vinci didn't. 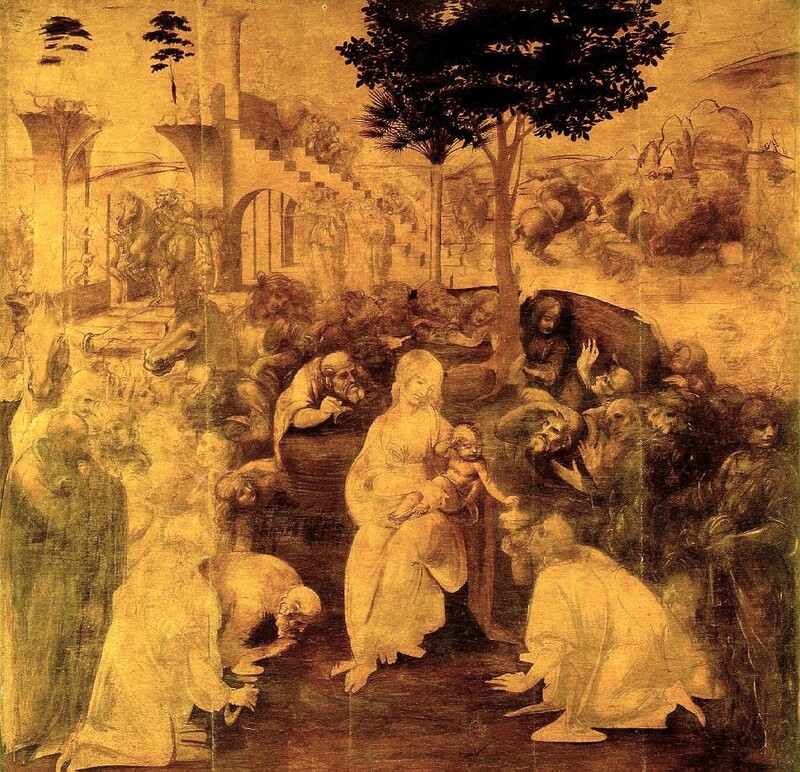 Over the centuries, various painters have portrayed this visit, but one of the most famous -- despite its being unfinished -- is da Vinci's Adoration of the Magi, seen here on this post. The artist had been commissioned in 1480 to paint this 8-by-9-foot work for the main altar of the monastery of San Donato a Scopeto, near Florence. He was 29 at the time, and he worked on it for quite a while, getting the piece to its brown ink and yellow ocher groundwork stage. But then he moved to Milan and left it behind, never to work on it again. Eventually the assignment was given to another artist who provided the requested painting to the monastery in 1496. Da Vinci's unfinished work still exists and is on display in the Uffizi Gallery in Florence. Though uncompleted, it is recognized in the art world as one of his most important works. Believe this: When God calls us to a task, He gives us His help to finish it. One sign of God is that we are led to work that we did not intend to do. Another sign of God is that we are trusted to seek God's help to take the task to completion.